Description Wares of this sort were made for use by the last Northern Song [Sung] emperor (who reigned from 1101 until 1125), but some authorities believe that this vessel and others like it (in the National Palace Museum, Taipei) were made during the Ming [Ming] Dynasty. 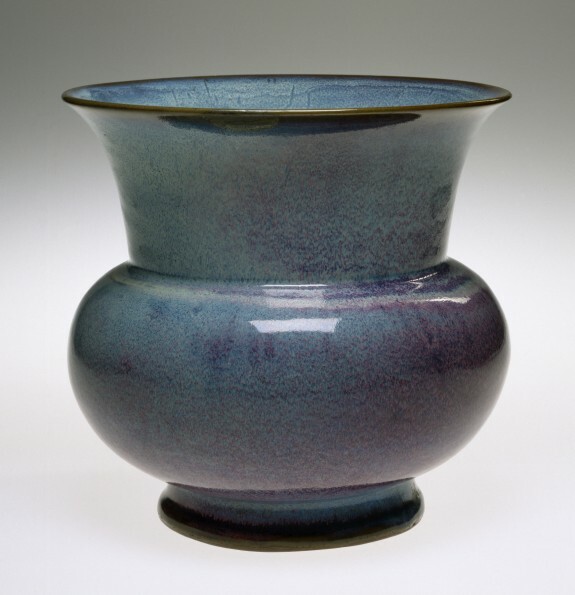 The number "1" incised Jun ware flowerpot has three chips under the lip that required filling and inpainting. Provenance Acquired by Henry Walters, Baltimore; by bequest to Walters Art Museum, 1931.